Faculty of Basic Education of the Babylon University in Iraq extended an invitation to Dr. Reda Abdel Haleem from Egypt (Member of the Foundation’s Council) and to me, as Foundation’s President for a visit in order to sign a mutual agreement of scientific cooperation between the Foundation for the Support of Research to Disclose Ancient and Modern Knowledge Wisdom of Nations and the University. I must say that after receiving this invitation my emotions were mixed. There was and is a lot of negative publicity in Poland about Iraq, mostly we heard about war, civil unrest, ISIS attacks on civilians, etc. All my friends were advising not to go “because you never know what might happen”. However Dr. Reda was very assuring: this area is very safe, life is normal, and our Foundation can really help by providing contacts with some Polish Academic Institutions and directly with some scientists. All this can help Iraq to recover in the area of archaeology, geophysics and restoration. Therefore we decided to go. I left Warsaw on March 27th to arrive to Cairo in order meet Dr. Reda and to have meeting with Prof. Suzan El-Kalliny, Dean of the Faculty of Art of the Ain Shams University. Trip to Iraq for Dr. Reda and myself was planned between March 30th to April 6th 2017. Prof. Suzan visited Warsaw and Wrocław together with Prof. Dr. Moustafa Zayed (Director of the Archaeology Department) in May last year. At the University of Wroclaw the Foundation signed official agreement with the Ain Shams University. As the result of this Agreement, in July 2016 Prof. El-Kalliny presented an application on behalf of the University and our Foundation to the Permanent Committee of the Ministry of Antiquity in Cairo for permission to conduct research at the Hawara Necropolis area. Wisdom of Nations was to finance this project through the Ain Shams. Unfortunately, application was put aside with the argument that such agreement needs to be signed together with another foreign Academic Institution before it can be considered. Signing agreement directly with Polish Foundation was not enough. In Cairo we discussed with Prof. Suzan options and possibilities of promoting in Egypt our projects and possible further actions. City of Babylon is situated about 90 km south of Baghdad therefore the only possibility was to fly from Cairo to Baghdad and than travel by car from Baghdad to Babylon. My visa was obtained at the Iraqi Consulate in Warsaw and we landed with Dr. Reda by Egypt Air airlines in Baghdad on Thursday, March 30th. 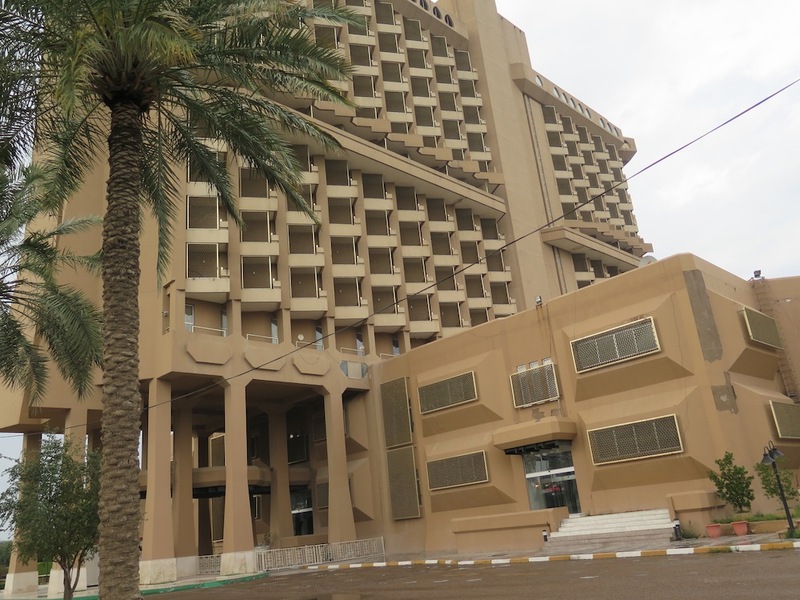 Since we arrived to Iraq on Thursday, and Friday and Saturday are weekend days in Iraq (Sunday is the first working day of the week) our hosts decided to place us in the five stars El-Mansour Hotel in Baghdad and show us the city. We were picked up from the airport by car that belonged to Prof. Dr. Mohammed Al-Rubae, the Dean of the College of Basic Education. Personal driver of Prof. Mohammed and a security guard were our first caretakers who drove us to the hotel. With a great interest I was watching the streets of Baghdad – obviously it was my first ever visit in Iraq and I was curious how will I feel. 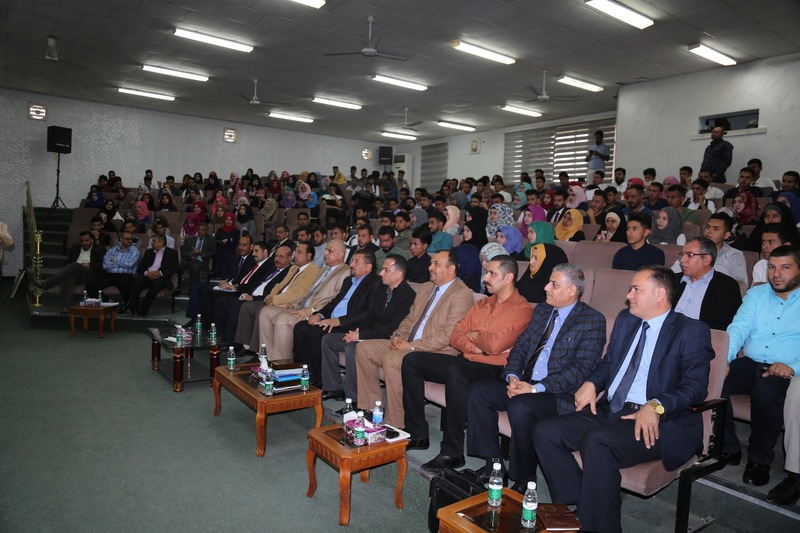 Dr. Reda visited Iraq several times participating in scientific Conferences at the University of Baghdad and Babylon. Surprisingly – I felt very safe in spite of visible presence of Iraqi military and police in the city. Every few kilometers we had to stop for inspection, soldiers were looking at us and letting us to go on… until the next stop. 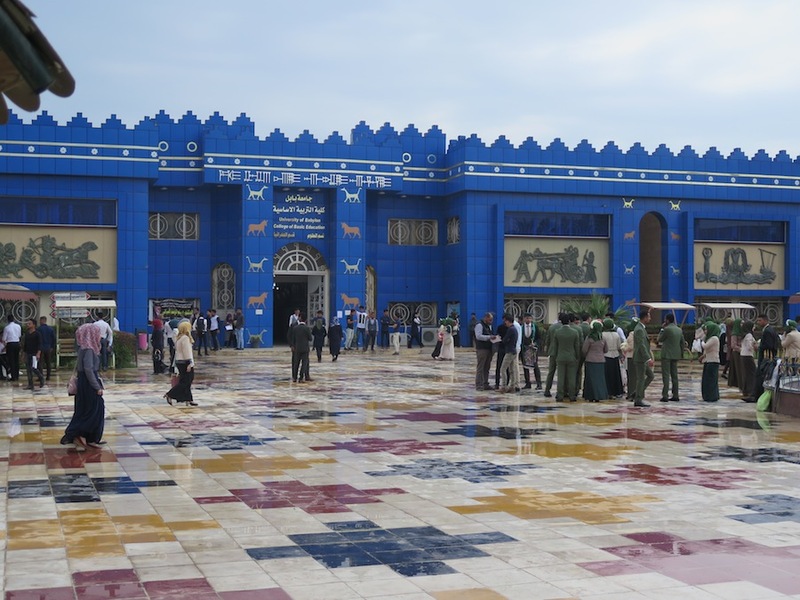 The driver had a special VIP pass that certainly facilitated the trip to the – well guarded and surrounded by concrete blocks – El-Mansour Hotel. 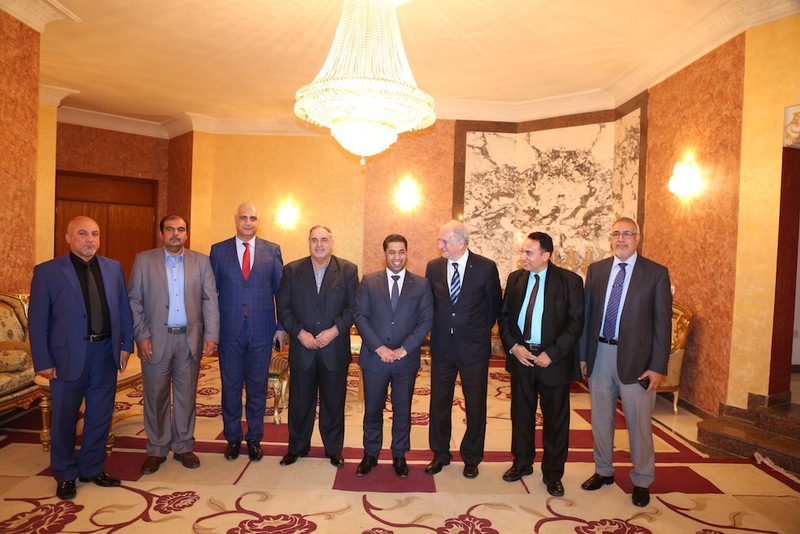 In the evening that day we met our hosts: Prof. Dr. Mohammed Al-Rubae, the Dean of College of Basic Education, Prof. Dr. Qais Hatim Hani from Ancient History Dept. 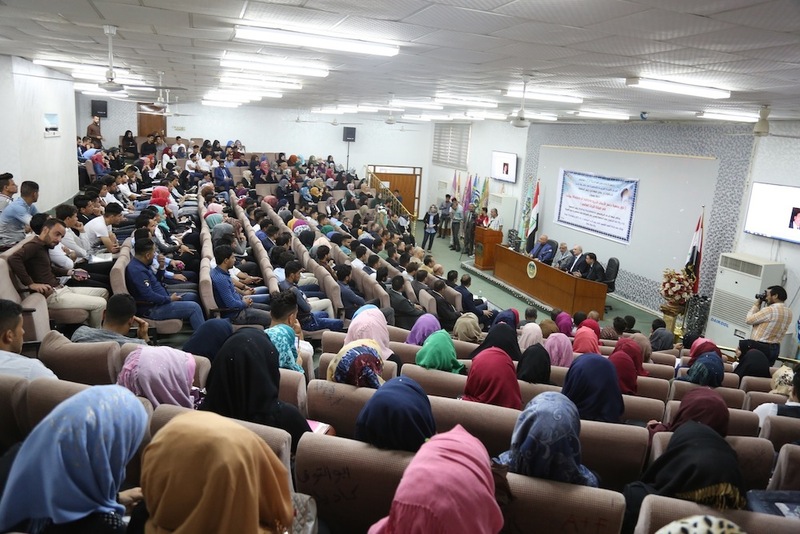 at the Babylon University and Dr. Jassim Mohammed Hussein from the Ministry of Higher Education and Scientific Research in Baghdad. 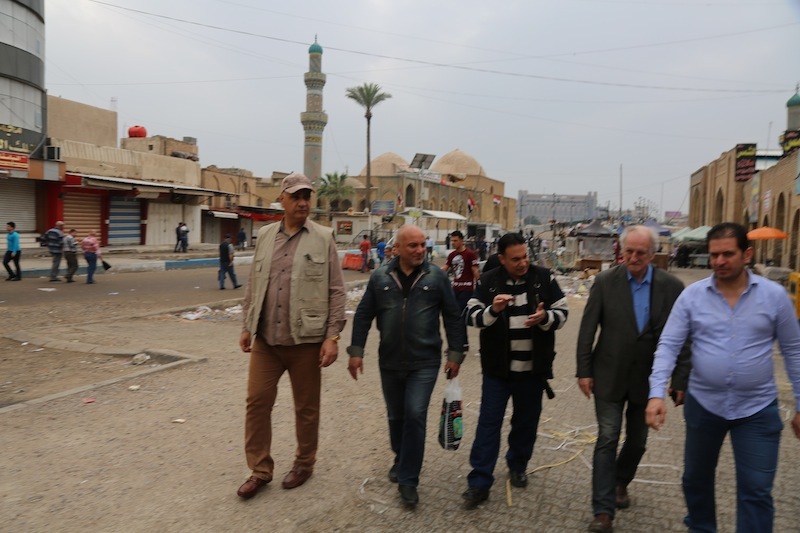 I wish Polish TV and other mass media in Europe would do sometimes more positive programs about Iraq. 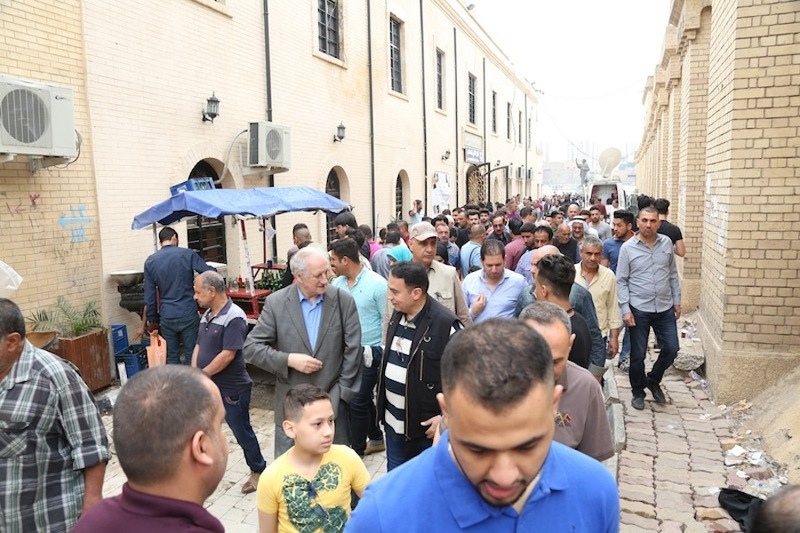 Obviously – there is a war in Mosul area and not the whole country is safe and “back to normal” but my impression was very clear – people want to live in pace, want to enjoy life and life must go on in spite of all bad things that had happened in the past and are happening around. 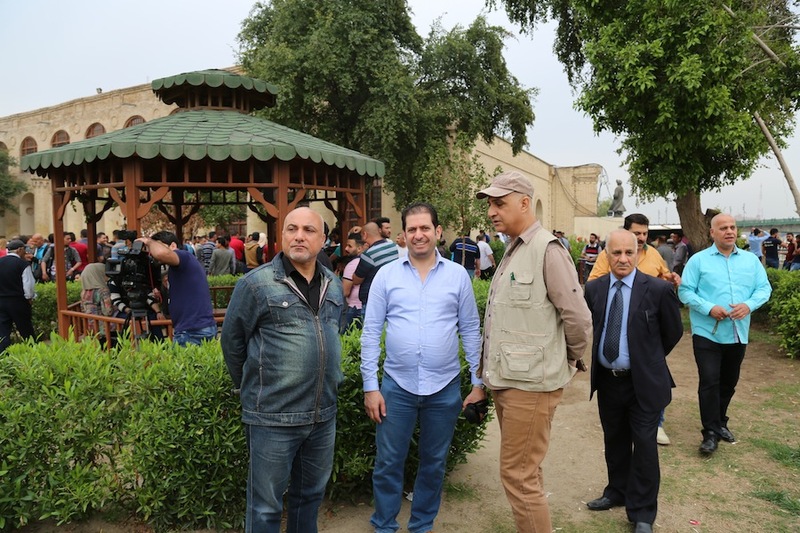 It was weekend Friday, our hosts took us to an old part of Baghdad for a visit to historical and heritage sites. 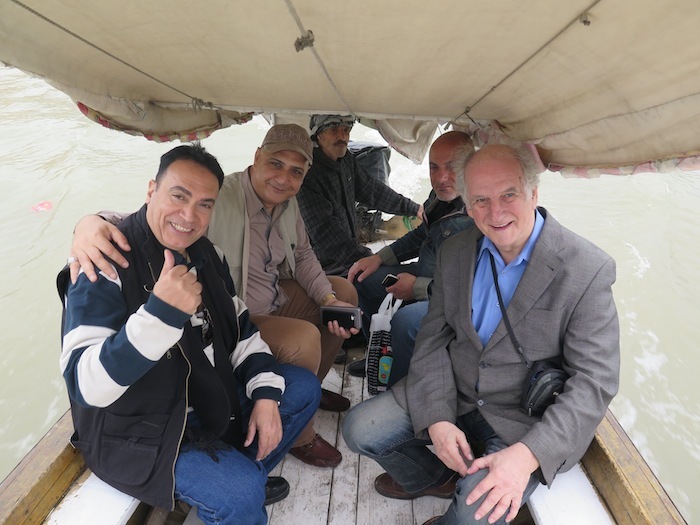 We drove to the Tigris River and as a special attraction – we took a small, wooden boat to get to the other side of the river. We went to El-Mutanabbi Street, where there is a statue of the famous Iraqi poet… His full name is: Abu at-Tayyib Ahmad ibn al-Husayn al-Mutanabbi al-Kindi. He is considered as one of the greatest poets in the Arabic language and the most prominent and influential Arab poet in the Arab world. 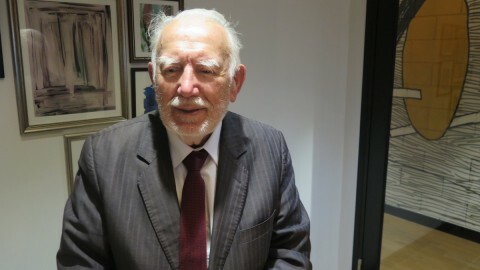 Much of his work has been translated into over 20 languages worldwide. That day area was filled with thousands of people, hundreds of vendors, cafe places and different attractions. 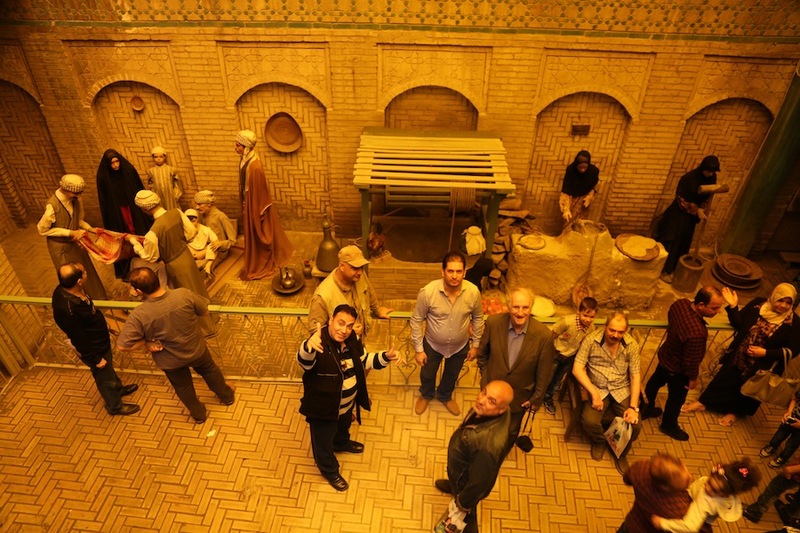 We visited Baghdad Cultural Center and Wax Museum, walked through El-Rashid Street. Dr. Reda and I we were also asked to give a short interview to Iraqi “Asia” TV station whose reporters were in the area. We explained purpose of our visit to Iraq and provided some information about the Wisdom of Nations Foundation. Great time and many… many thanks to our exceptional guides: Prof. Mohammed, Prof. Qais and Dr. Jassim for this incredible experience, and encounter with Arab life and Arabic culture. One interesting observation about Baghdad: compared to Cairo, where there is a lot of poverty visible on streets I did not see any poor people on streets of Baghdad. There was nobody asking for help, nobody walking between cars selling cheep items. Once I saw a young man selling CDs with songs, however dressed quite nice – he did not look very poor. 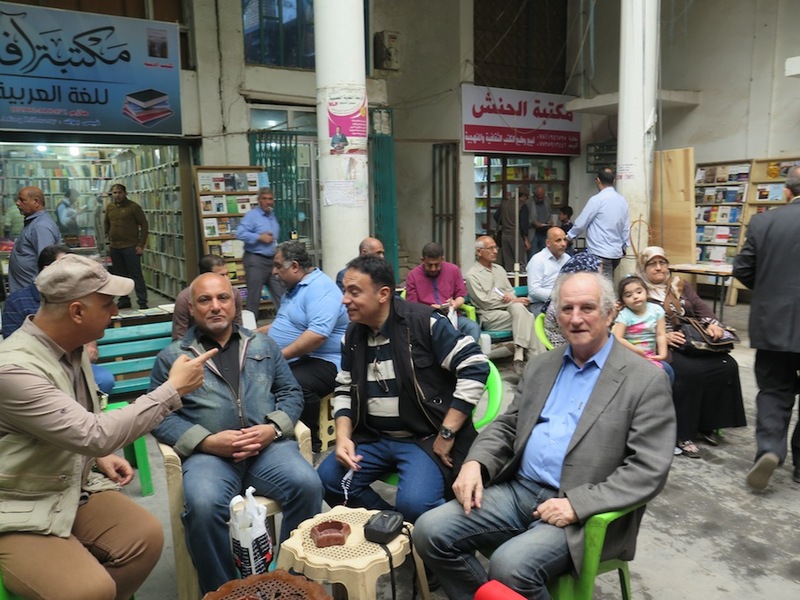 When I asked my new Iraqi friends: “There is no unemployment problem in Iraq” – they answered. Next day, on Saturday, we left the hotel for the city o Babylon. Established in 1991 as an independent University. 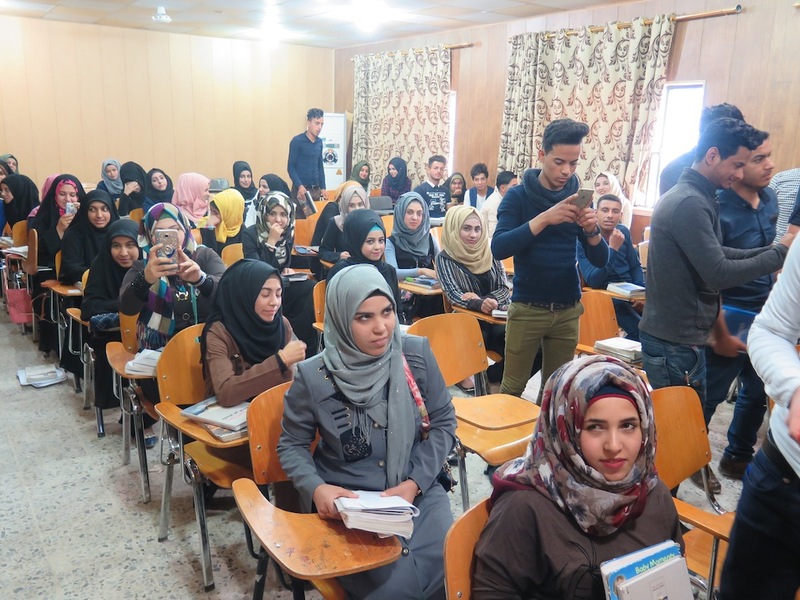 It is ranked as number two in Iraq, after University of Baghdad. 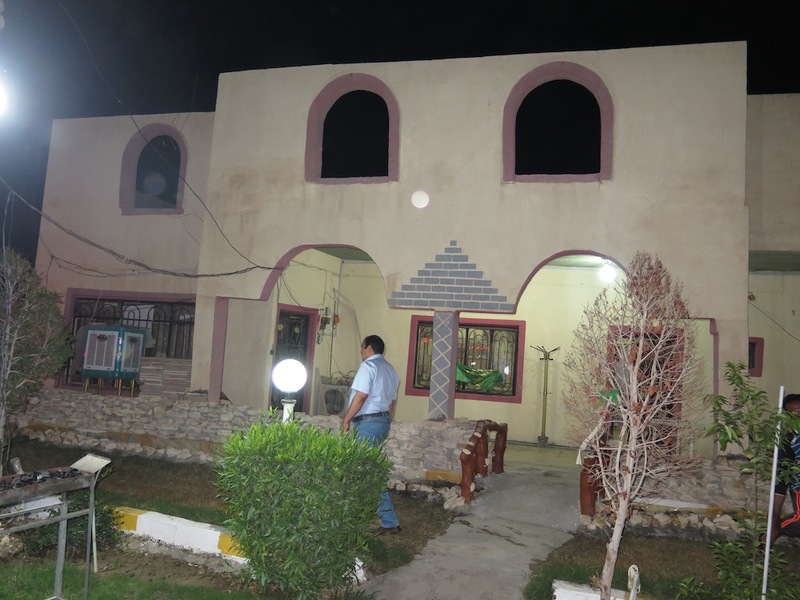 It is located in the governorate of Babylon that is situated about 90 kilometers from Baghdad by the river Euphrates. The name of the University belongs to most ancient civilization of the world: the civilization of Mesopotamian. 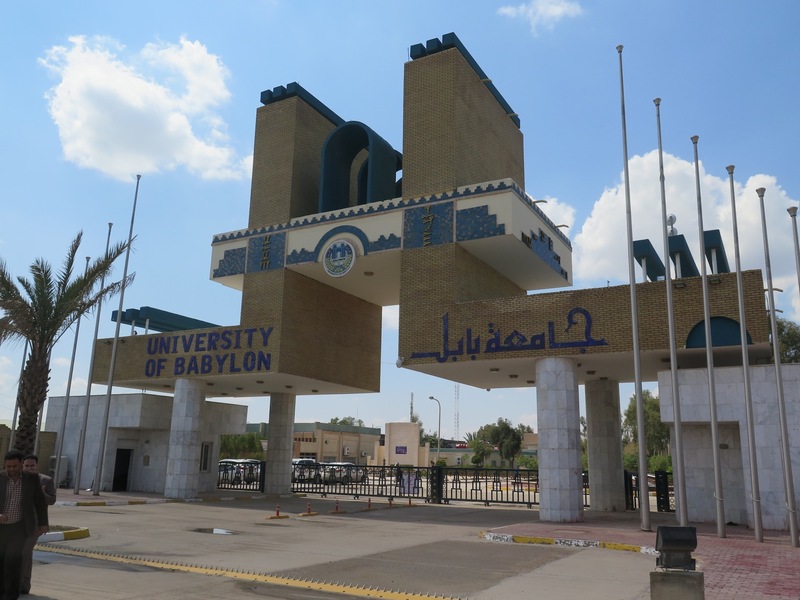 University of Babylon has 19 faculties, 73 departments and over 1800 staff member. At the moment there are over 27,000 students studying at the University. 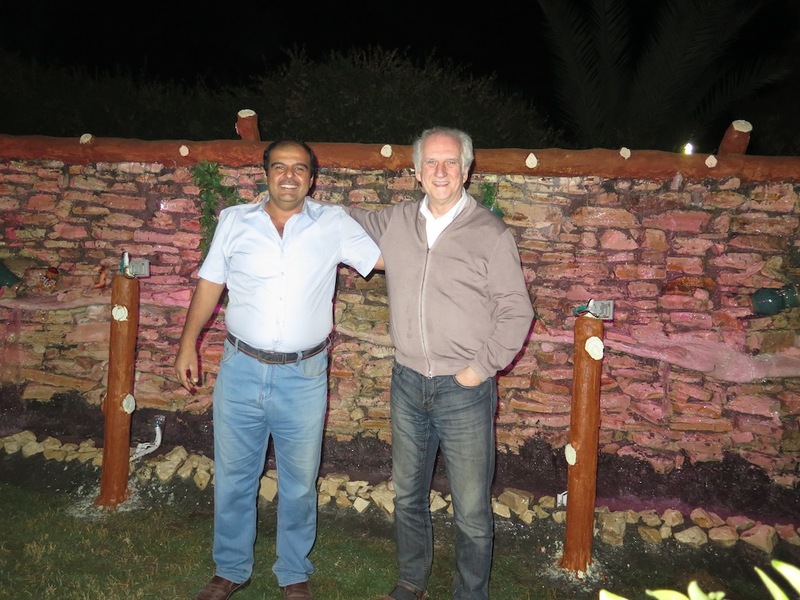 We were placed with Dr. Reda in the special guesthouse on University grounds designed for VIP guests. First look at the meetings room was quite shocking. It looked rather as a royal palace than a guesthouse. Well, here people really live in style… was my first thought. 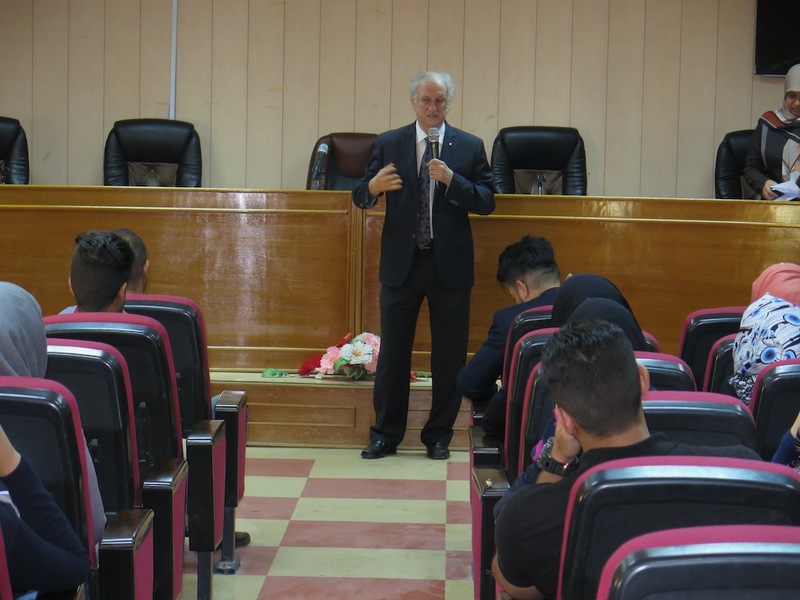 Next day, on Sunday morning we were introduced to the Babylon University Chancellor, His Excellency Prof. Dr. Adel Al-Baghdadi and many of senior staff members. 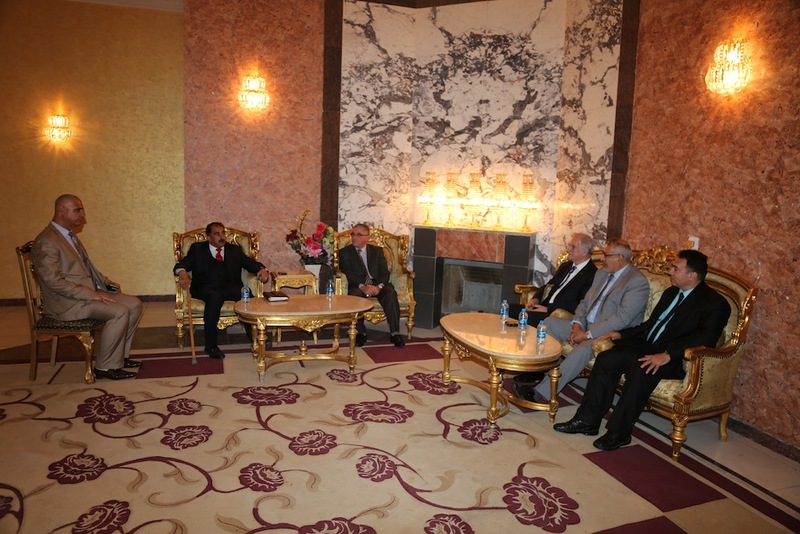 Prof. Al-Baghdadi welcomed us and we discussed a scope of cooperation between the Foundation and University of Babylon. It was suggested that Foundation supports the University by finding in Poland scientists in the area of geology (especially Ground Penetration Radar – GPR), archaeology, restoration and conservation of monuments. It will also fund trips of selected scientists to Iraq. 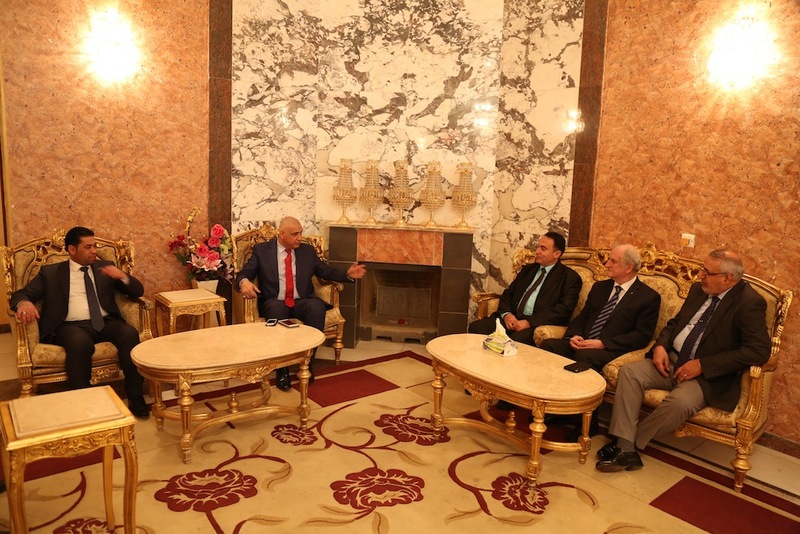 University of Babylon will cover all expenses in Iraq such as lodging, honoraria, security, etc. Agreement is to be signed by both sides after permission from the Ministry of Higher Education. 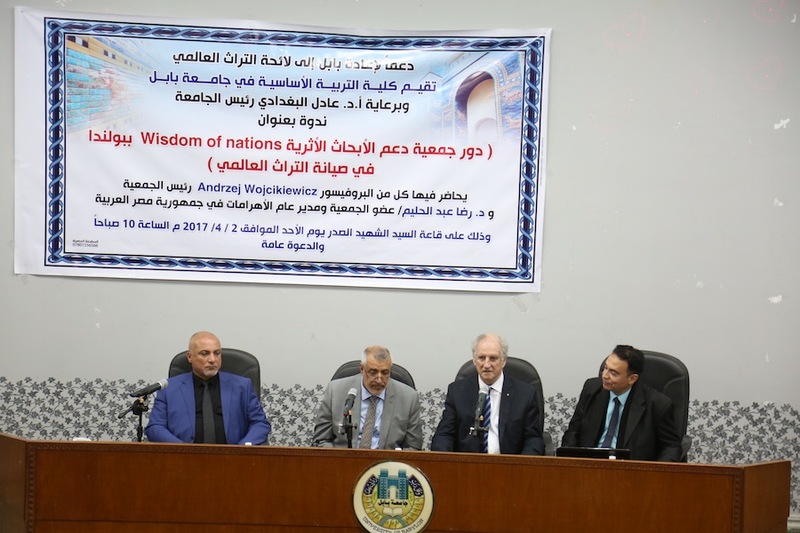 “According to our goal to return Babylon to the World Heritage, our Faculty of Basic Education at the University of Babylon under the supervision of Prof. Dr. Adel Al-Baghdadi, Chancellor, we organize a Conference under the name of the role of Foundation WISDOM OF NATIONS which supports archaeological research in Poland in presence of Prof. Andrzej Wojcikiewicz, Foundation’s President from Poland and Dr. Reda Abdel Haleem, Foundation’s Member of Council and General Director of the Giza Pyramid Area at the Arab Republic of Egypt. The Conference will be held in the assembly hall of the Murter el-Sadr on Sunday, April 2nd at 10:00 a.m. Invitation is open to all”. 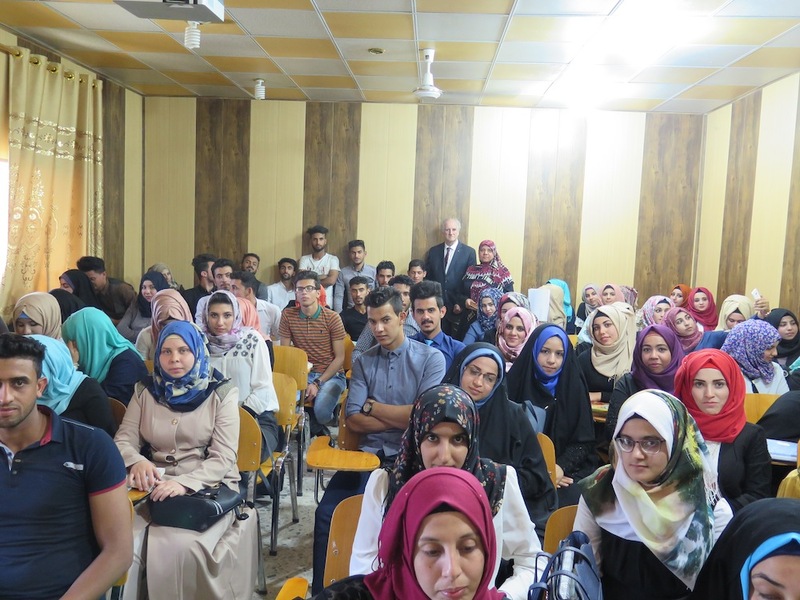 In front of about 200 students and invited professors Dr. Reda and I presented two short lectures. I was talking about Foundation’s goals and activities in Poland and internationally and about planned cooperation between the University of Babylon and our Foundation. 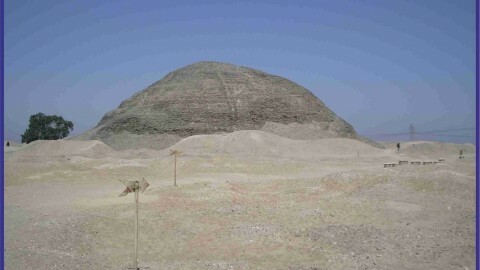 Dr. Reda gave presentation about research that was done at the Hawara Necropolis area in Egypt in the 2008 – 2009 season. 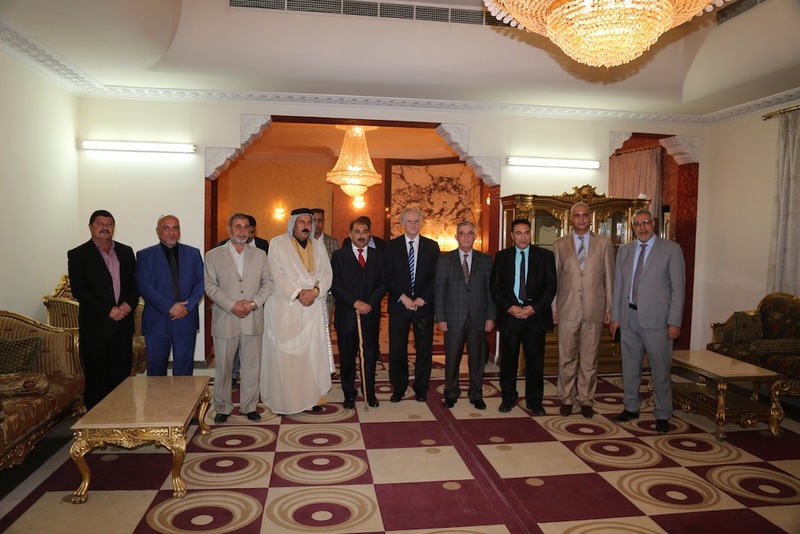 In the afternoon we were transported to City Council, where we were greeted by the Chairman of the Council, Dr. Raad Al-Jebory in the presence of Prof. Dr. Al-Baghdadi, Chancellor of the Babylon University, Prof. Dr. Mohammed Al-Rubaie, Dean of the Faculty of Basic Education, Dr. Assam Al-Jebory, Head of Cultural Relations, and Prof. Dr. Qais Hatim Hani. 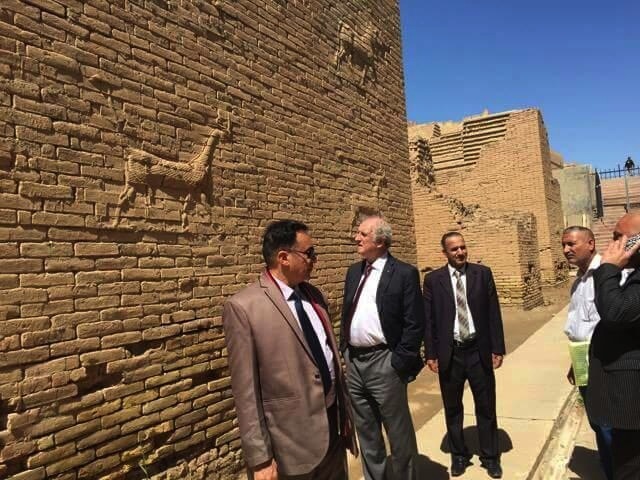 Our conversation concentrated on possible support for application of the Ancient City of Babylon to receive status of World Heritage with UNESCO. The City of Babylon is seeking it for sometime. 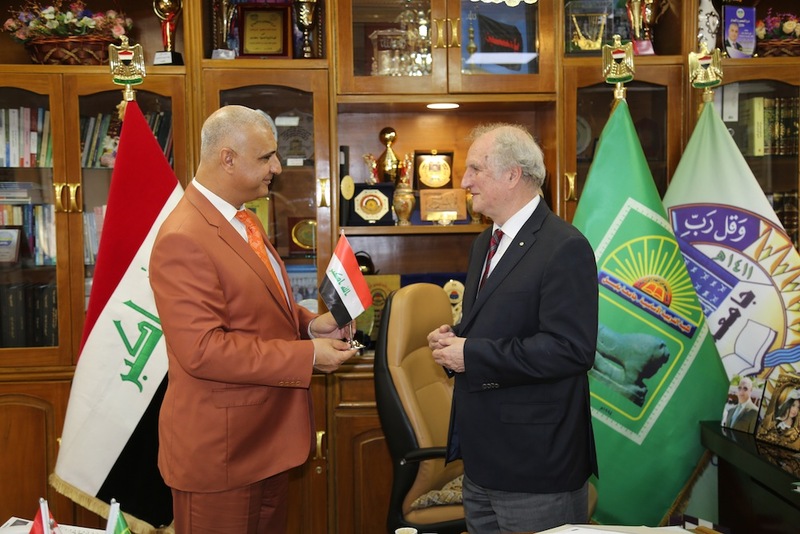 Since our Foundation had signed an Agreement of Cooperation with American association: The Academy For Future Sciences (established by Prof. Dr. J.J. Hurtak), which is member of the UNESCO – there is a chance, that this way application of the City of Babylon can be supported more efficiently. 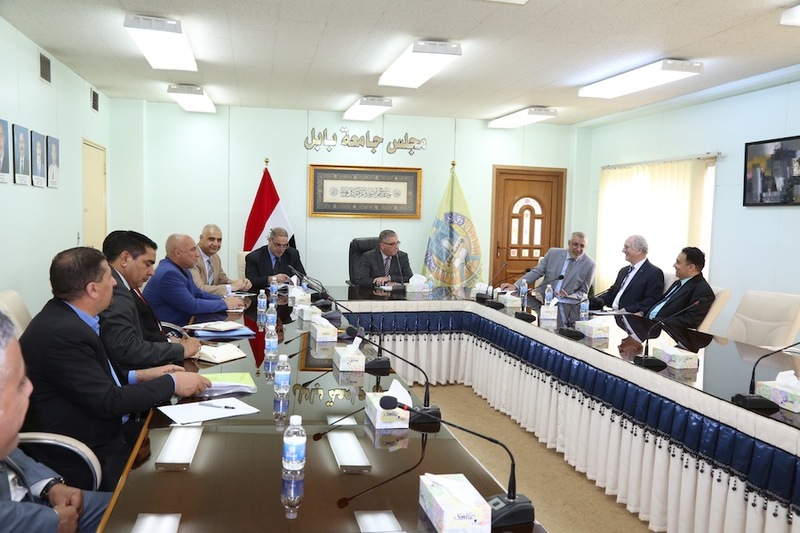 Later this afternoon we had another meeting, this time with the Governor of the Province of Babylon, His Excellency Sadeq Al-Sultani in the presence of Prof. Dr. Assam, Vice-President for International Relations, Mr. Ahmed Alkabit, City Coucil Member and the rest of accompanying us University staff. 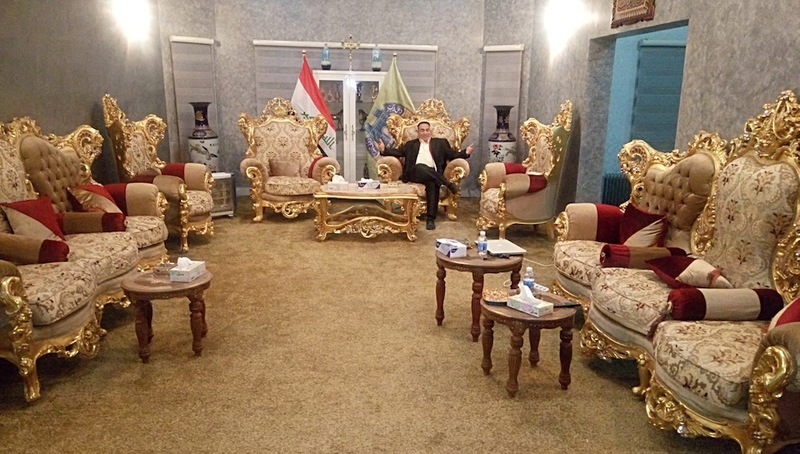 Meeting with the Governor of the Province of Babylon, His Excellency Sadeq Al-Sultani. The Governor first from the left. The Mesopotamian civilization is represented by the Ancient City of Babylon that was the first civilized city along the history. This city was a small settlement during the Sumerians regions about 4000 BC. It was known as KA-DINGIR-RA-K3, i.e. the City of God. In the Acadian region (3000 BC) the City of Babylon became civilized and known as Bab-ilu in the Acadian language, i.e. the Door of God. In the Old Testament, it is known as Babil whereas the Greeks named it Babyloia. Babylon is considered as a city in the modern Sumerian region in years 2112-2004 BC. 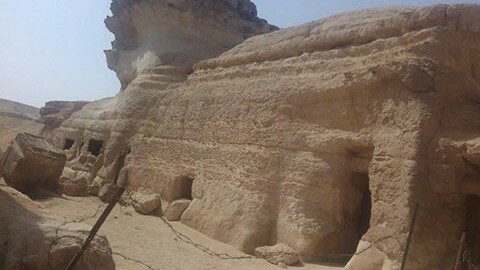 It became famous during the Amorian region (the first Babylon), than became the Capital of the first Babylonian civilization during the region of its most famous King Hammurabi (1792-1750 BC). King Hammurabi was considered as a great judge and a statesman due to his success in uniting the Mesopotamian. After the death of Hammurabi, Babylon weakened. In 539 BC the Achaemenids conquered Babylon by their leader Cyrus (Kurash). Babylon was also conquered by Alexander the Great in 331 BC. He planned to make it as a capital for his empire. The first excavations done by German mission in Babylon between 1899-1917 formed the right scientific beginning in the field of excavations in this area, but such a beginning was accompanied by illegal activity in which many of the precious Babylonian antiquities, especially the famous Gate of Ishtar, and Hammurabi Obelisk were transferred to the Berlin Museum where they stay until now. 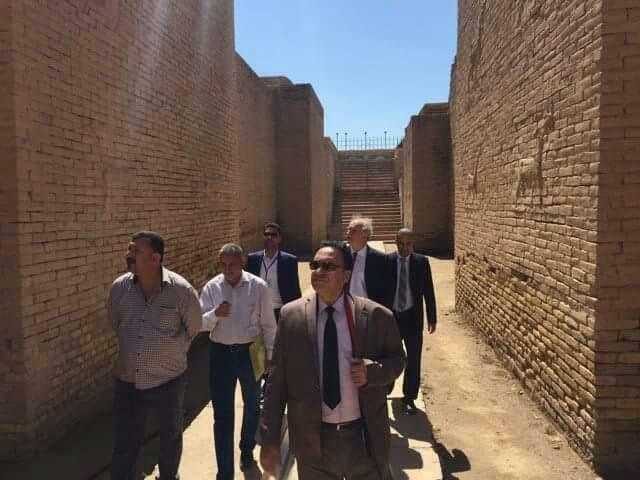 Visit in the Ancient City of Babylon was remarkable for Dr. Reda and me. 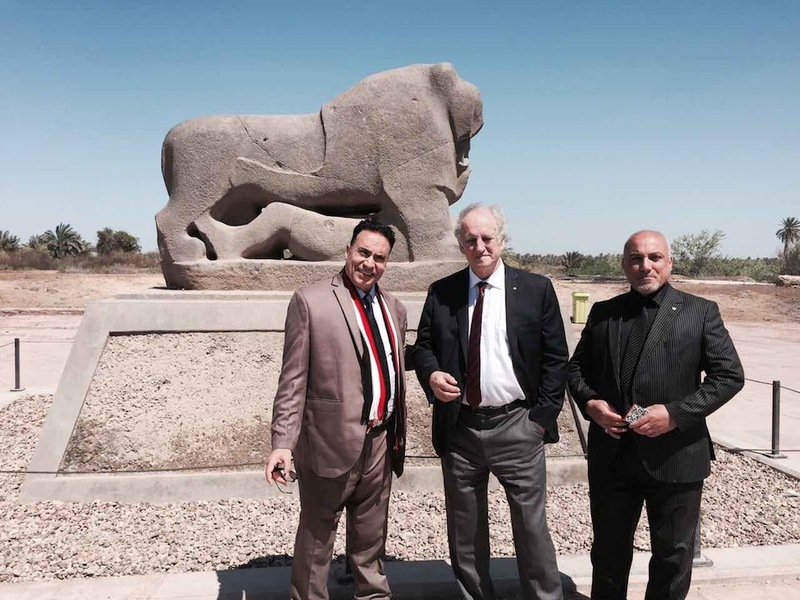 We saw granite lion that symbolizing defeat of enemies, bricks with inscriptions in Sumerian language and figures of animals carved thousands of years ago. I asked our Iraqi guide – what is written on these bricks? “It is Sumerian language – I don’t know” – he answered. There are only fragments of old walls existing today, but the whole Ancient City was renovated by new bricks supplementing the old ones so, the whole area looks as it probably looked 3000 or 4000 years BC. It is a big tourist attraction, but few foreign tourists are now reaching Babylon. We also saw parts of old walls falling apart urgently needing restoration and repair. For renovation specialists it is a great opportunity. There is also a question – is there any hidden knowledge deeper in the ground in the area of the Ancient City of Babylon? Afternoon we signed Letter of Intention with the University, about scientific cooperation between Wisdom of Nations Foundation and the University of Babylon in the areas of archaeology, geology and renovation & conservation of monuments. 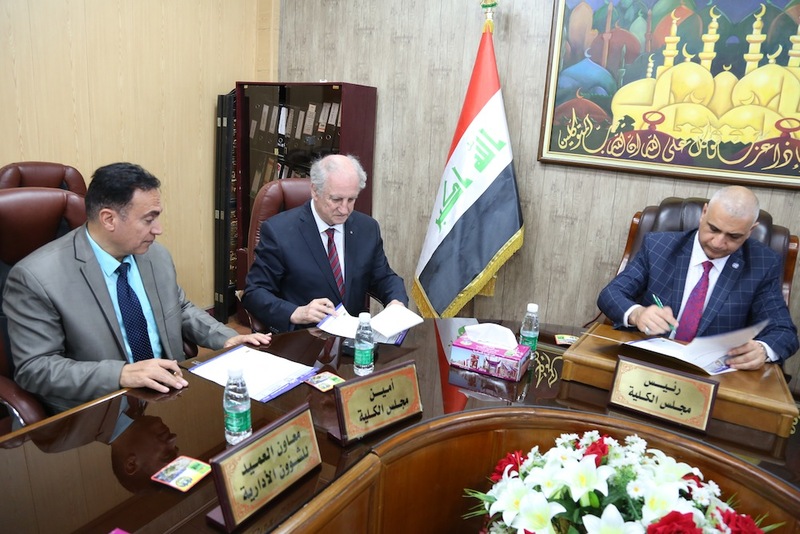 Prof. Dr. Kahtan Aljebory, Vice-President of Scientific and Academic Affairs, Prof. Dr. Mohammed Al-Rubae, Dean of Basic Education College and Prof. Dr. Qais Hatim Hani from Basic Education College signed the agreement on behalf of the University of Babylon. Andrzej Wojcikiewicz and Dr. Reda Abdel Haleem signed on behalf of the Foundation. We also discussed a possibility of an agreement between the University of Babylon and the Ain Shams University from Cairo with respect to cooperation between these two Universities in archaeological projects in Egypt. 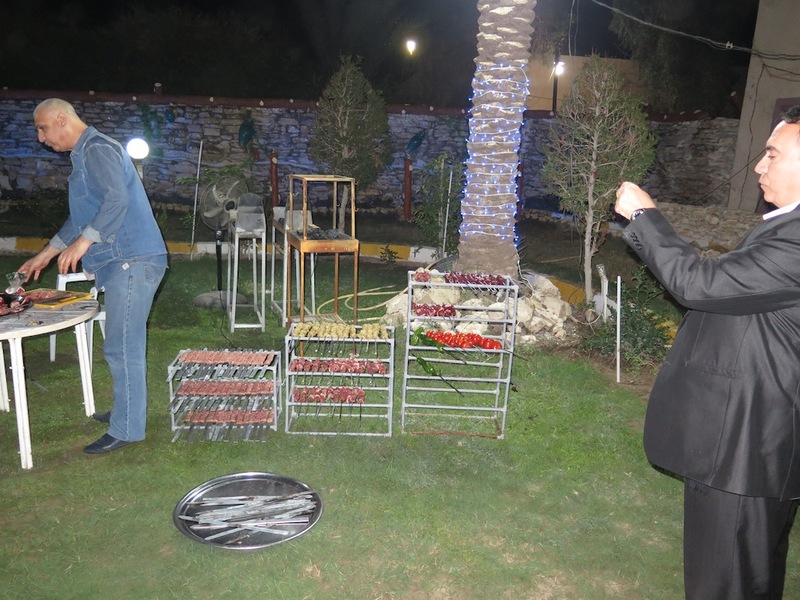 For the last evening at Babylon we were invited for BBQ to private residence of Prof. Dr. Heider el-Ammary, Head of Geology Department at the Babylon University where again – but this time in a very informal way – we met many prominent officials from the Babylon University and the City officials, including the Governor, Mr. Sadeq Al-Sultani. 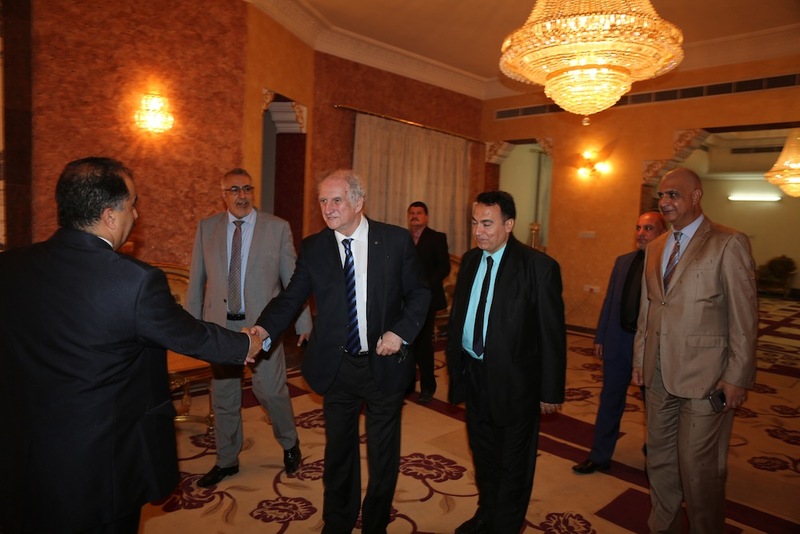 In conclusion of our visit I would like to say that the way we were both received by the Babylon University officials and first of all by Prof. Dr. Mohammed Al-Rubaie and Prof. Dr. Qais Hatim Al-Janabi surpassed all my expectations. 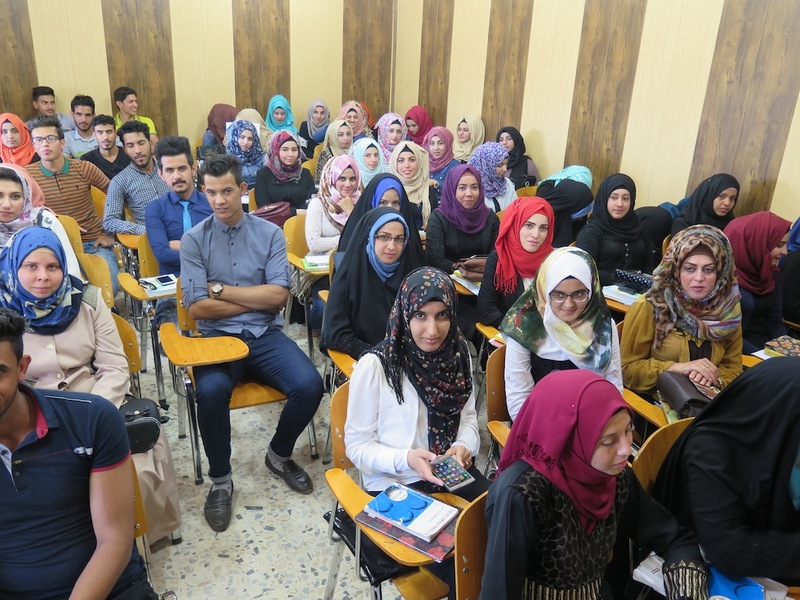 The level of hospitality and friendliness of all people that we met in Baghdad and in Babylon, including teaching staff, students and Babylon City officials was so exceptional that it is difficult to express our full gratitude in a short report. I can only say on behalf of our Foundation: “Thank you from the bottom of my heart for everything Dr. Reda and I experienced in your country at your great University and in your exceptional city”. We met fantastic people, got new friends and we hope that this is a beginning of long and fruitful cooperation between our Foundation and the University of Babylon.